It’s time to hone in on your lead and customer follow-up strategy to boost conversion and retention in your business. Building and maintaining customer relationships is a juggling act with more moving pieces than you ever imagined. Your business thrives on the relationships you do maintain, but lately it feels that, more often than not, your communications with leads and customers don’t match the level of their relationship with you. Between a growing number of requests, purchases and interest in your products, it’s becoming too much to handle. 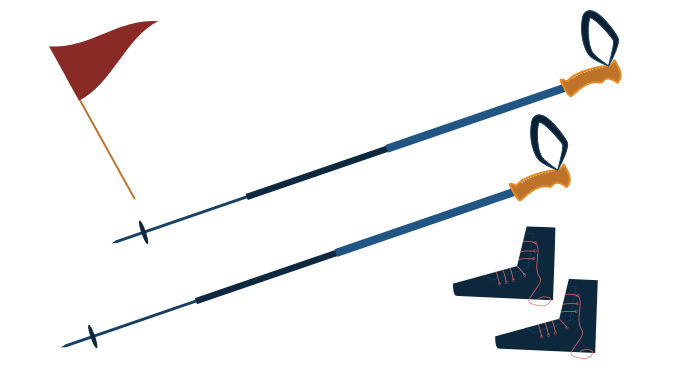 You fear that putting too much pressure on cold leads and not enough on hot leads is stunting your business’s growth and holding your conversion and retention rates down, but you’re not sure how to fix it. You may have tried nailing down a communication strategy so you can engage with and convert more leads, but knowing what messages to send to people at different relationship stages is much harder than you thought. Sending out something seems better than nothing at all, but you know you’re at risk of targeting them with the wrong content, or worse…inviting customers to buy a product they already own. As the stress of this follow-up juggling act grows, it becomes increasingly clear that you need better organization to manage the relationships you have with your customers. Trying to keep track of it all with incompatible software tools or even rough spreadsheets isn’t working. There’s got to be an easier way to make all your leads and customers feel understood and cared for, right? You’re not the only one struggling to find a follow-up strategy that works. According to Protocol 80, a staggering 65% of B2B marketers don’t have a lead nurturing system for their business. It’s like trying to drive to a new place in an unfamiliar town without a map – you know where you need to be and maybe even a general idea of how to get there, but without a map you’re likely to take longer to find it or get lost completely. With online marketing opening up the opportunity to reach infinite numbers of prospects, it’s no wonder that follow-up overwhelm is setting in for most businesses and, to be fair, it is a sign of success to have more leads and customers than you can manage by hand. Matching your CRM and marketing automation strategy to the natural phases of the customer lifecycle is a tried-and-true way to keep leads and customers constantly moving towards a stronger relationship with your brand and to eliminate follow-up overwhelm. The ability to target segmented groups at five distinct stages of the customer lifecycle alone can drastically improve your business’s ROI. 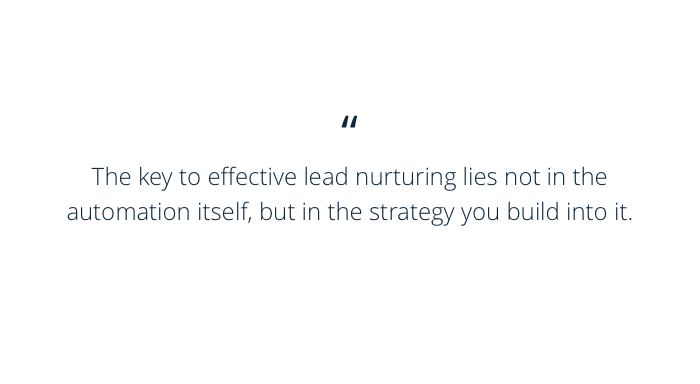 The key to effective lead nurturing lies not in the automation itself, but in the strategy you build into it. The Step-By-Step Guide to the Customer Lifecycle says, “Marketing is like dating: Just as you wouldn’t ask someone to marry you on a first date, you shouldn’t ask your customers to buy your main product the first time they become aware of your brand.” The main idea is to present leads with the right information and offers at the right times — ultimately nurturing them into customers and referrers of your brand. The journey isn’t over once leads convert to customers. In fact, it’s just getting started! Access Development says, “Existing customers are 50% more likely to try new products and spend 31% more than new customers.” So just as in personal relationships, the more you work on making people feel cared about, the more loyal they’ll become. Map out each stage of the customer lifecycle to eliminate the stress of improvising communications with customers and leads along the way or of making mistakes. Capture your leads’ attention with valuable content so they’ll provide you with their contact information and move even closer to purchasing your core product. Systemize your customer and lead follow-up so that you won’t miss any opportunities to convert new customers and grow your revenue. Use consistent communication to turn qualified leads into loyal customers who will come back to your business time and time again. Connect your CRM to each funnel so your customers are guaranteed to be nurtured and cared for at every stage of the customer lifecycle. Automate your follow-up so that you can rest easy knowing your messages are properly targeted and consistent, making your customers feel understood and cared about. Ready to make relationship-building your business’s strong suit? Check out The Step-By-Step Guide to the Customer Lifecycle.